The Sound control technologies ia a solution for camera extension, expansion system, remote camera and camera accessories for video conferencing industries. Expanding on the reliable and time-tested technology of the RemoteCam2, RemoteCam3 and RemoteCam3X, the RemoteCam5 is part of Sound Control Technologies in dubai is next generation product portfolio for digital PTZ cameras. The RemoteCam5 camera Extension Kits offer a cost and time saving alternative when integrating digital high definition PTZ cameras into a wide variety of presentation spaces. The RemoteCam5 Kits provide a reliable “transparent“link between the camera and codec/head-end. 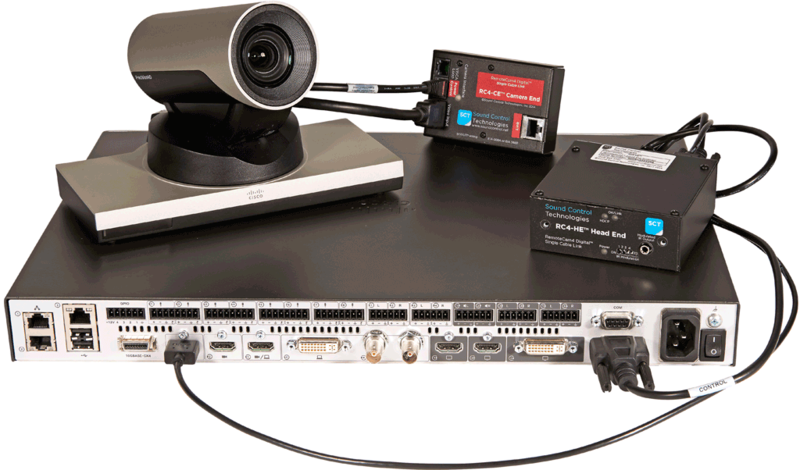 Sound Control Technonlogies’ RemoteCam5-CST extension solution offers a cost and time saving alternative to traditional infrastructure cabling for Cisco SpeakerTrack 60 Power, Control and Video. The RemoteCam5-CST Kit provides a reliable “transparent“link between the SpeakerTrack and C Series/SX80 codecs. Expanding on the reliable and time-tested technology of the RemoteCam2, RemoteCam3 and RemoteCam3X, the RemoteCam4 is part of Sound Control Technologies’ next generation product portfolio for digital PTZ cameras. The RemoteCam4 camera Extension Kits offer a cost and time saving alternative when integrating digital high definition PTZ cameras into a wide variety of presentation spaces. The RemoteCam4™ Kits provide a reliable “transparent“link between the camera and codec/head-end. 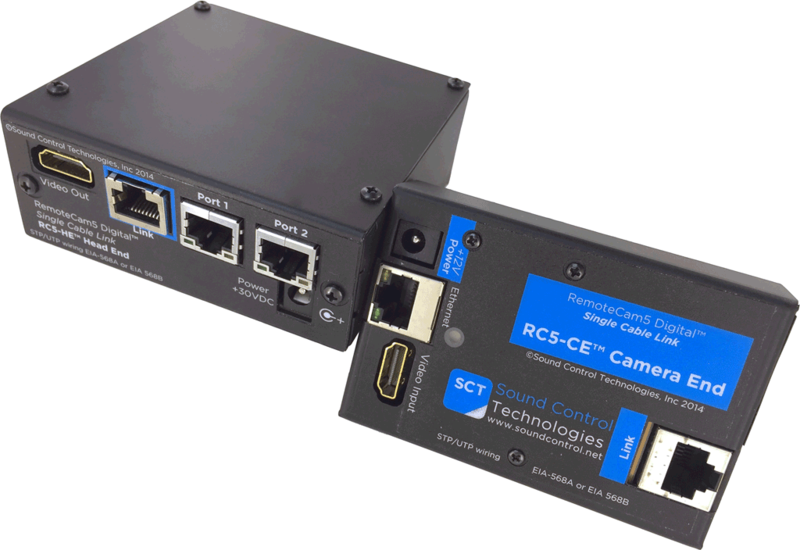 Sound Control Technonlogies’ RemoteCam4-Director extension solution offers a cost and time saving alternative to traditional infrastructure cabling for EagleEye Director II Power, Control, IR and Video. The RemoteCam4-Director Kits provide a reliable “transparent“link between the Director II and RealPresence Group Series codecs. Sound Control Technologies’ RCM Series Wall Mounts are designed to minimize their appearance, leaving only the camera visible whenever possible. Laser cut to contour the base of the camera, our mounts provide the cleanest mounting solution available in the industry, utilizing a standard 2-Gang wall box or low voltage ring. Acepaq is dealer in UAE. A uniquely simple and clean mounting solution for the camera module provides cable management and ease of installation. Sound Control Technologies’ In-Wall Boxes are a three-piece all-metal solution with a common back box and bezel. The solution becomes camera specific with a laser cut plate matching the contoured base of the camera. The camera plate has depth mounting options to meet specific requirements but is never more than 3½ inches from the wall to meet ADA compliance. The Sound Control Technologies RC-RK2 is a single RU rack shelf designed specifically to mount two of our RemoteCam2, RemoteCam2-Director, RemoteCam3, RemoteCam3X or distribution amplifier modules. The 9” deep shelf accommodates two of our power supplies while still leaving access to the rear of the modules for clean and easy cabling. Buy sound control technologies system in Dubai, UAE, Abu Dhabi, Qatar, Oman, Kuwait, Bahrain, Saudi Arabia and Africa.